This Is How Drunk Riders Have Fun In Russia! Wanna know how Russians have fun in the streets when they’re drunk? They find barriers and challenge them! Just like this scooter below with two riders in it trying to ram at a scooter barrier arm. 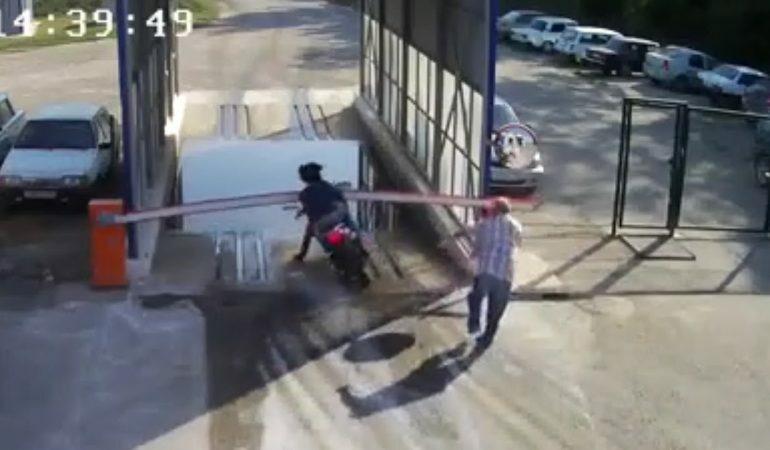 The first time may be understood as the scooter probably didn’t saw the barrier arm but the second time it did aim for the barrier arm just says it all. The riders were into some limbo while riding in a scooter. Haha! As idiot as they are, they later told the police they didn’t notice the barrier arm in both directions. Check out the hilarious events for yourself too!